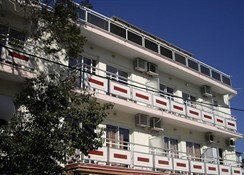 Bristol Hotel Apartments A warm welcome awaits you at the mid size, 2x000D star rated Bristol Hotel Apartments in Kos. Guests can enjoy a meal at the hotel restaurant. Room Facilities Bristol Hotel Apartments. All rooms have a hairdryer. Smoking in certain bedrooms is allowed, as well as in public areas of the hotel. Please specify when making your booking. Tea and coffee making facilities are available in all rooms. 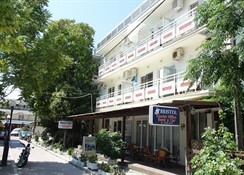 This hotel is the ideal choice for those who are looking for budget accommodation in the centre of Kos Town. If you are looking for somewhere peaceful yet convenient, itâ€™s the perfect solution. Each of the Bristol Hotelâ€™s apartments come with a private balcony, a well equipped kitchenette with a refrigerator, and a private bathroom. Every apartment also comes with air conditioning, and a safe deposit box on the front desk. Certain amenities may be payable locally. You can enjoy cooking your own meals in the kitchenettes provided, with supermarkets found nearby where you can pick up fresh ingredients and local produce. 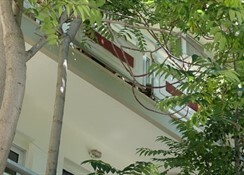 Otherwise you will find a number of restaurants, cafes and bars in the streets surrounding the hotel. 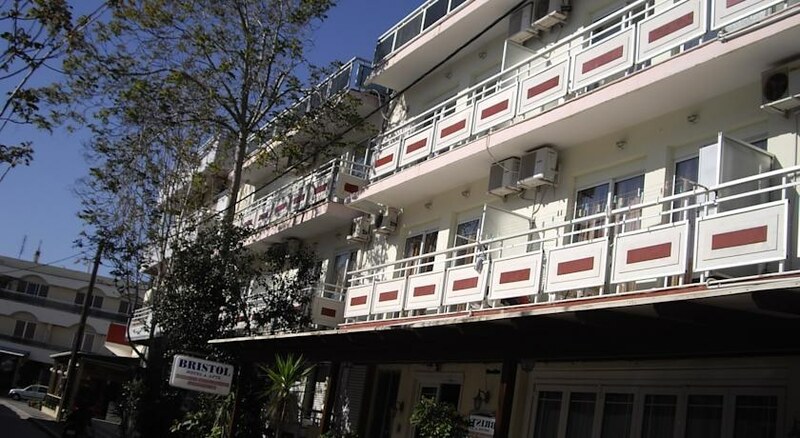 The Bristol Hotel is found in the heart of the town, just moments from some of Kos Townâ€™s most popular attractions, such as the Kos Castle, the Church of Agia Paraskevi and the Tree of Hippocrates.